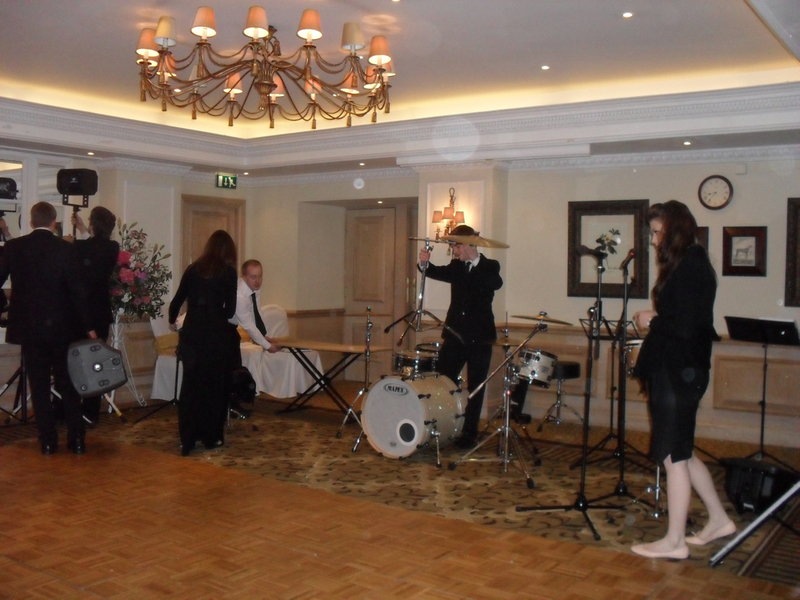 On Friday 15th April we performed at the wedding of Rosalind Purvis and Oliver Lambert. 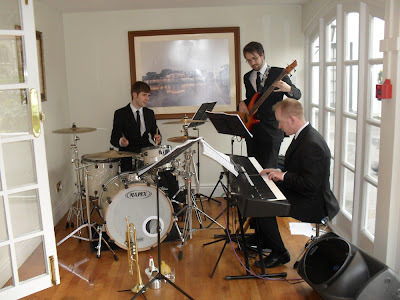 We were particularly looking forward to this gig; weddings are probably our favourite type of event to perform at, and we were particularly excited about this one as we were providing music for the wedding ceremony, a jazz band during the afternoon drinks reception AND a function band for dancing in the evening. This meant a lot of preparation before the day, and over 65 emails and phone calls between us and the wedding family! 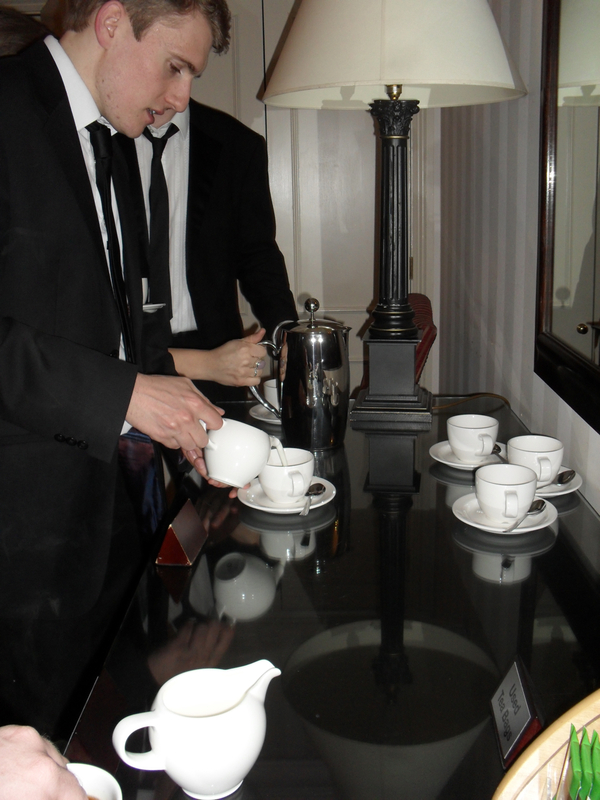 Luckily this wedding was only 40 miles away, so at lunchtime we met at our lock-up to load the van. 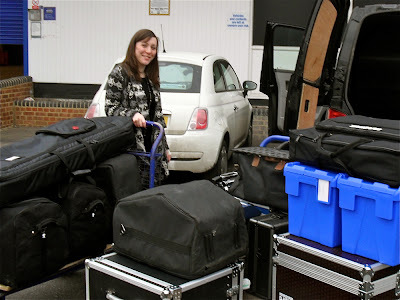 This is usually quite a quick process – however today both lifts had decided to break, so we were resigned to carrying all the equipment down a staircase! To console ourselves, we stopped off to pick up a quick lunch at a supermarket (as we couldn’t quite justify a service station stop on such a short journey). 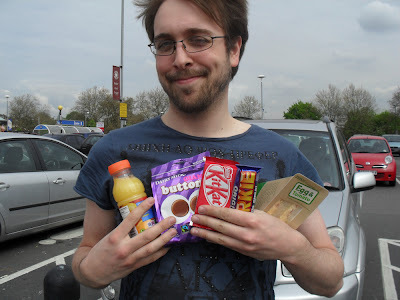 This invariably involves us buying lots of unhealthy food – although Steve shocked even us by buying three bars of chocolate (which he then proceeded to eat straight away, without even so much as offering anyone else a chocolate button). 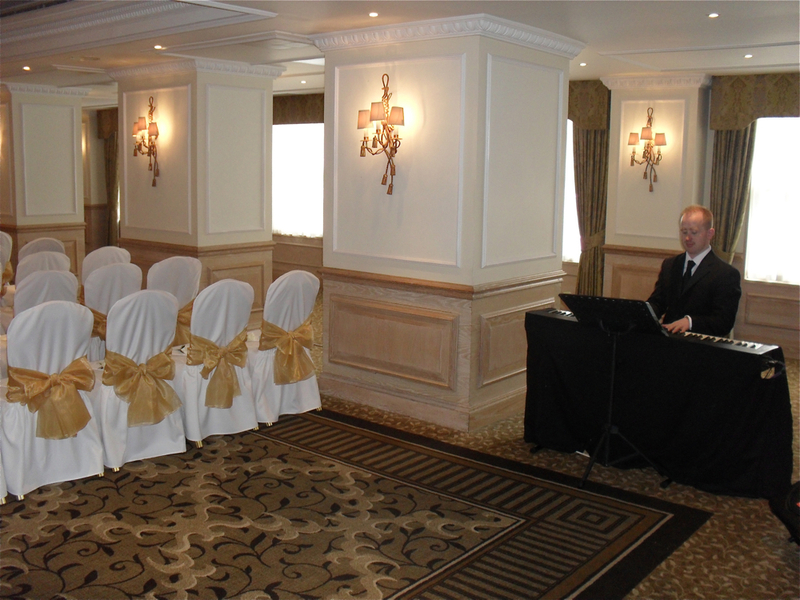 After we arrived at the venue, we set up the piano for the wedding ceremony. Mike then had a quick run through of the music for the ceremony – the couple had asked for a medley of songs from musicals before the service, and classical music for the procession, recession, and signing of the register. After the ceremony, we immediately went in to the two jazz quartet sets. As a surprise, the mother of the bride had arranged for us to play Louis Armstrong’s version of “Here Comes The Bride”, from High Society, as the couple walked through to the garden. 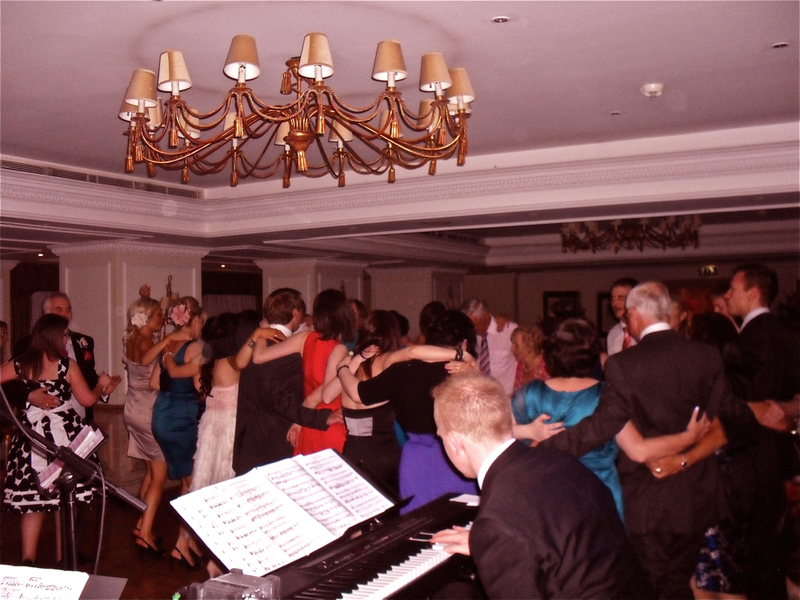 It was one of the bride’s favourite films for her childhood – so we hope our version did it justice! After we’d finished the jazz quartet sets, it was time for dinner. 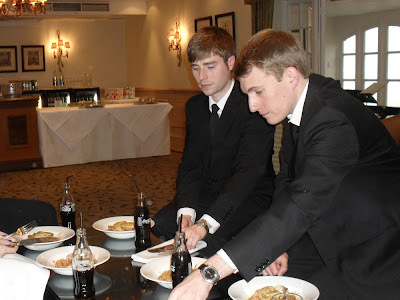 The family had arranged for us to have a delicious hot meal – widely accepted as quickest and easiest way to win a musician’s heart. 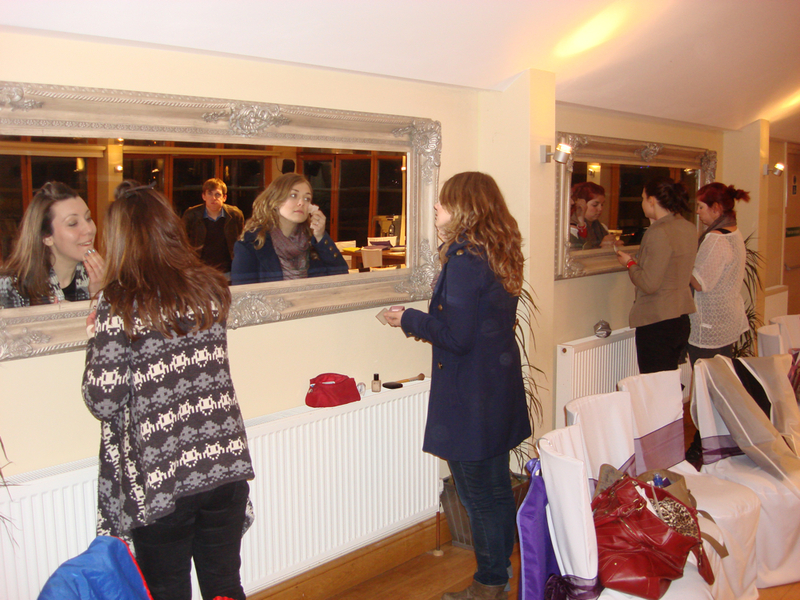 It was then time to put the set list together and then get changed – and, of course, for the girls to do their make-up! We knew we didn’t have long after the main wedding meal had finished to set-up for the evening function band, so we started to get the gear ready outside. 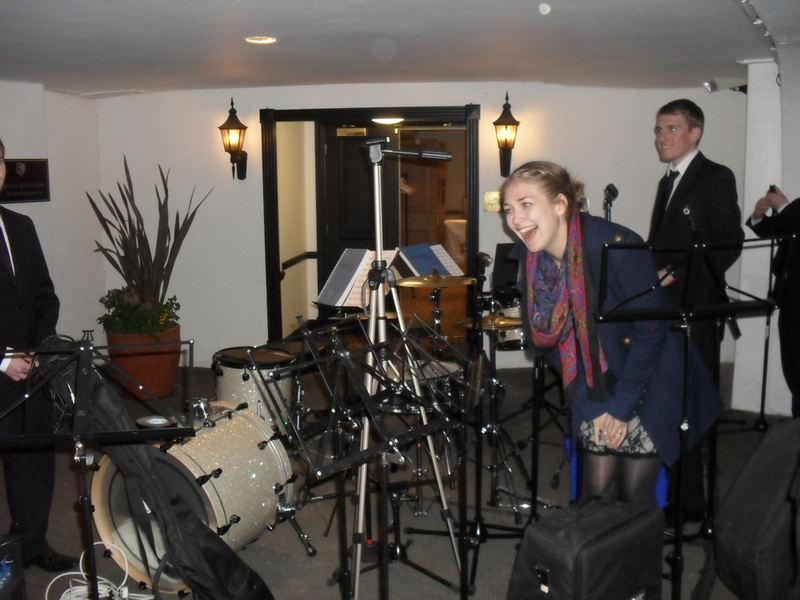 Then it was time to move everything inside, and set-up in the performance space. 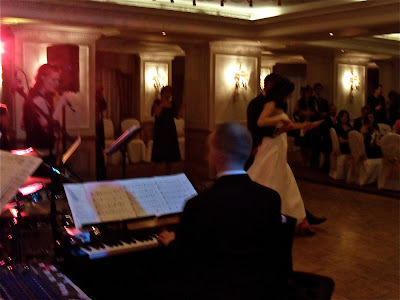 45 minutes later, we were ready to start playing – starting with the first dance, for which the couple had requested Michael Jackson’s “The Way You Make Me Feel”. It’s always great seeing what couples have planned for the first dance, and today’s routine was fantastic! After that, it was on with the rest of the set. 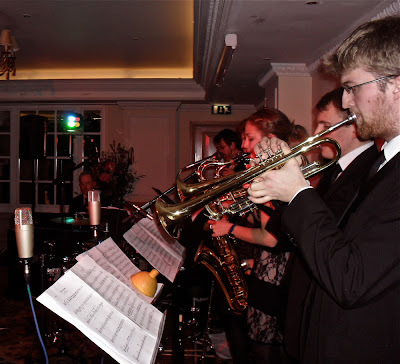 The parents had requested we do as much Glenn Miller as possible, so we’d learnt two new songs for this gig – Pennsylvania 6-5000 and American Patrol. 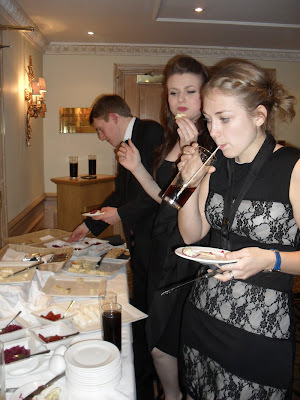 After two fantastic Swing and Rat Pack sets, it was time for a quick break – during which we were invited to help ourselves to the fabulous cheese buffet! 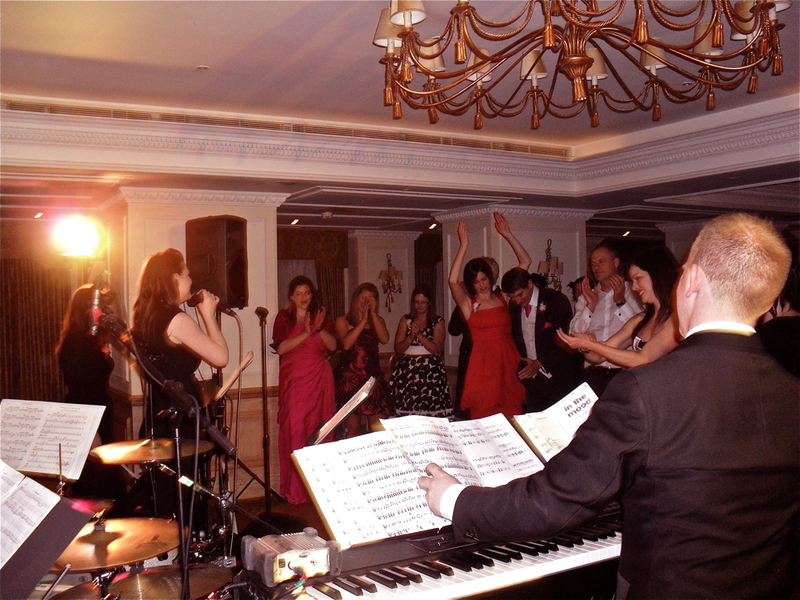 … that we played two encores, including New York, New York – invariably featuring a kick line! 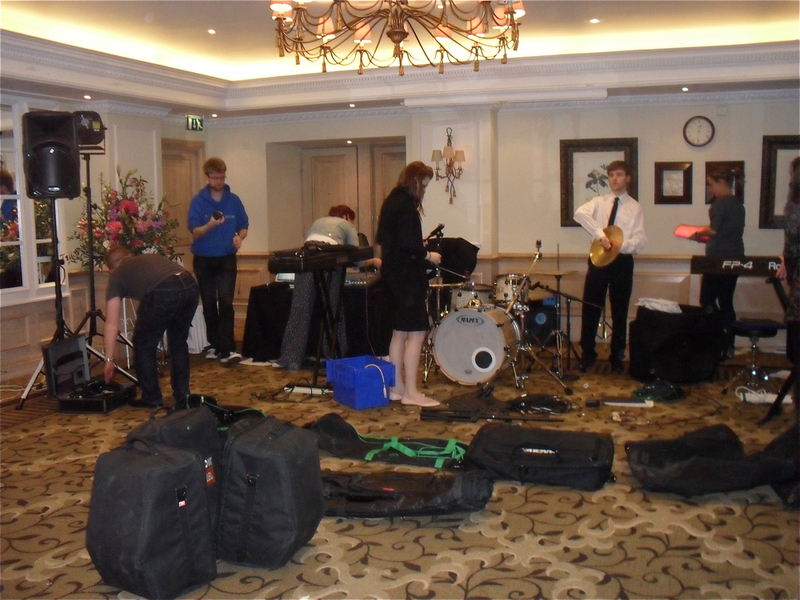 … before packing up and loading the van, a process which always seems a lot quicker than setting up! We were done! Even though some of us had been at the venue for 11 hours, performing over four and a half hour’s worth of music, we’d had an amazing time and were made to feel extremely welcome at the wedding. 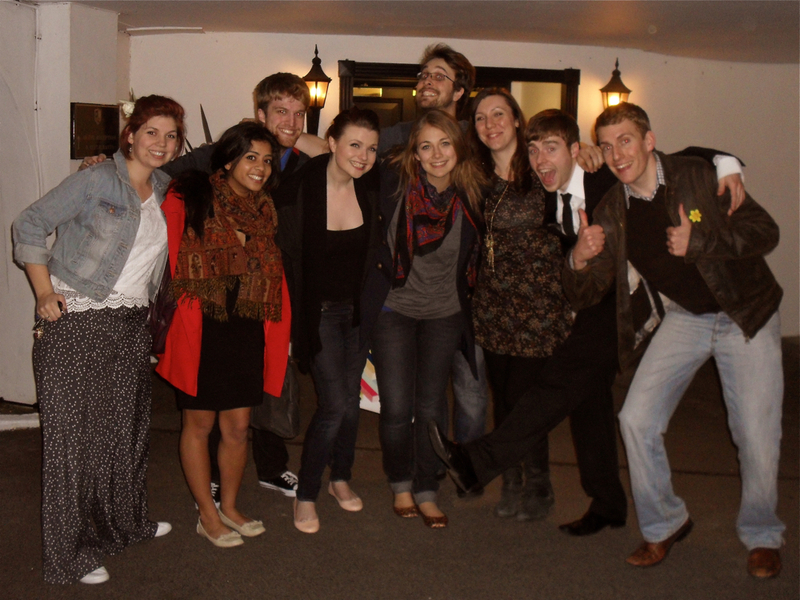 It was time for a quick group hug before driving home, unloading and getting ready for the next gig!